You are here: Home / Diabetes / The Paleo diet: does it have a role in the management of diabetes? The Paleo diet is today’s hottest dietary trend. It’s all about eating primal to mirror our cavemen ancestors as a way to optimal health. Like any popular fad, there is both truth and fiction to the claims made about the diet, but amongst all the noise, there could be some merit in trying the Paleo diet for diabetes management. The Paleo diet is simple in its idea: that humans evolved on a diet very different to what we usually eat today. It is based on the assumed eating habits of our ancestors in the Palaeolithic period (2.5 million to 10,000 years ago) before the advent of agriculture and industry. So what exactly did our ancestors eat? The answer is simple: anything and everything and it varied all around the world. There never was one ‘Paleo diet’, yet despite this, there are broad recommendations on what a person should and should not to eat on a Paleo diet. There is a lot of truth to Paleo claims that our modern diet is doing us harm. In Australia alone, one third of our daily kilojoules come from discretionary foods such as cakes, desserts, confectionary, alcoholic beverages, pastries, biscuits and soft drinks. These are not ancestral foods, nor foods that any nutritionist, regardless of dietary persuasion, would ever recommend. Just cutting out these alone will be a big health win. Looking at the foods included in a Paleo-style diet, it emphasises minimally processed whole foods, lean protein sources, vegetables, fruits, and healthy fats – a big improvement over the typical Western diet. The Paleo diet is not without its flaws. The evolutionary arguments don’t hold up and few of the foods available to us today resemble what would have been eaten in prehistoric times. Just over the short time period of the last 10,000 years, humans have shown remarkable adaptation to the food supply. For instance, because of ongoing exposure, most Caucasians have few problems digesting lactose from milk into adulthood. As for excluding grains and legumes, there is no question that the highly processed and nutrient poor versions of these foods should be limited. There is a big difference though between a muffin made from white flour and the nutrients packed in dark grainy bread. Wholegrains and legumes are strongly linked to good health from improved blood lipids, better blood glucose control and less inflammation. 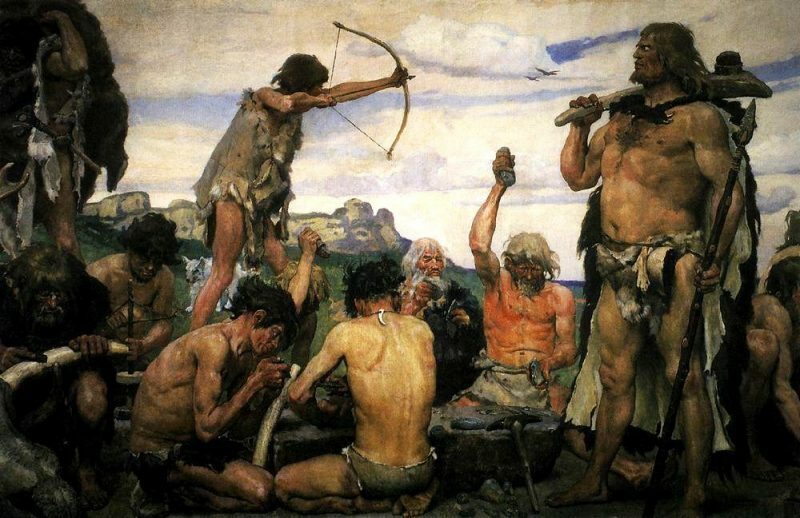 If a person really believes the Paleo diet is the best evolutionary diet for health, then they had best make room in their day for several hours of ‘hunting and gathering’ in the form of exercise as that was also a feature of the true Paleo lifestyle. Using the self-checkout at the supermarket to scan through coconut oil and grass fed beef doesn’t cut it. The biggest negative of the diet though is its unhealthy focus on ‘good and bad’ foods. It is the whole dietary pattern that matters most for health, not the presence or absence of a particular food or food group. So in the context of the pros and cons, does a Paleo-style diet have a role to play in helping a person manage diabetes? To date, only a handful of controlled studies have looked at the effects of a Paleo diet for diabetes. The first was a 12-week study of 29 people with ischaemic heart disease and impaired glucose tolerance or type 2 diabetes. Participants were randomised to either a Paleo or Mediterranean style diet. Both groups saw a benefit in glucose tolerance and body weight, but a greater benefit in glucose tolerance was seen in the Paleo group independent of weight change. There were though three dropouts in the Paleo group and none in the Mediterranean diet group. The second study of note was a 3-month randomised-controlled crossover trial involving just 13 people with type 2 diabetes. The study compared a Paleo diet against a ‘standard’ diet for diabetes in accordance with dietary guidelines. There were greater net improvements on the Paleo diet with HbA1C falling 0.4 percentage points, and improved triglycerides, diastolic blood pressure, body weight (by 3kg) and waist circumference (4cm) and higher HDL-cholesterol. The Paleo diet was lower in energy, carbohydrate, glycaemic index, glycaemic load, saturated fat, and calcium compared to the standard diet. Of interest for the Australian context, a non-controlled study of ten Aborigines with diabetes and a mean BMI of 27 kg/m2 found that a reversion to a hunter-gatherer lifestyle over 7 weeks led to a 10% loss of weight and reductions in fasting and 2-hour glucose and fasting insulin. So what to make of these study results? Short-term at least, it is not surprising that a dietary pattern that excludes so many of the highly processed and nutritionally poor foods of a typical Western diet and recommends only healthy foods in its place should result in favourable improvements in diabetes. Yet it is too early to say that a Paleo diet should be ‘the’ approach that everyone with diabetes should follow. There are no long-term studies on its role in diabetes and the diet needlessly excludes wholesome foods high in fibre such as wholegrains and legumes that are linked to favourable metabolic changes. Published only last year, a major systematic review and meta-analysis comparing seven different dietary patterns for the management of diabetes found that low carbohydrate, low-glycaemic index, high protein, and Mediterranean diets are all effective in lowering HbA1c. The Mediterranean diet though showed the largest effect size. Far from calling the Mediterranean diet the ‘winner’, the clear conclusion from the review was that as dietary behaviours and choices are personal, it is more realistic for a dietary modification to be individualised rather than to use a one-size-fits-all approach. This is the approach that should be taken with the Paleo diet – it can be of benefit for someone with diabetes, but it should not be seen as a recommendation for everyone. Dietary approaches for diabetes travel on different roads, of varying surface qualities, but can arrive at the same destination. Just cutting back on sugary foods and drinks, highly refined carbohydrate foods, and eating more non-starchy vegetables approaches a Paleo style diet with zero controversies attached to it. A diet label such as ‘Paleo’ can be a useful handle in counselling someone interested in trying this approach if it motivates and connects with them, but it should be tailored to the individual with a firm eye on overall nutritional quality. The Paleo diet for diabetes is just one many approaches that can be considered. Thanks for sharing such an informative post this is very beneficial for awaring us from this disease now we can fight from this disease. Keep sharing like this post. Those food items that are foregone in a bid to follow the Paleo diet can be replaced by some proper natural alternative to it, for example, honey can be used instead of sugar and natural oil in place of butter. That does not mean that paleo diet followers should or do eat raw foods. There are thousands of Paleo-friendly recipes which are really delicious and very easy to cook. Great article Tim. There appears to be some supportive evidence for Paleo and insulin resistance improvement and glucose control but it’s the aggressive reaction of people like Pete Evans who create the sensational headlines. It’s not like the researchers are saying Paleo is rubbish, they are simply stating the current findings in research. It is clear some people in the research studies benefited from the Paleo diet but the headline chasers ruin the the message through aggressive statements and calling out the researcher as corrupt and biased. You would think they would be saying, see we told you it works, but we just need more evidence. Fully agree Julian – none of the studies are showing it ‘cures’ T2DM and other approaches can work just as well, but even in the trials everyone responds differently – some do better on Paleo, others on the comparator dietary approach. That is my biggest issue – the LCHF/Paleo fanatics calling their approach ‘the best’ and demonising professionals and health bodies who dare to even consider endorsing other ways of eating. Great article, I like your very objective approach.